It’s officially October, so I can officially start getting excited for Halloween! Let’s be honest – I started taking the Halloween decorations out a couple of weeks ago. This is one of my favorite times of year! While I’m a bit of a chicken when it comes down to the scarier parts of Halloween, I still like to enjoy some of the creepy and spooky things about this time of year. You’ll never find me taking a haunted hay ride or walking around a haunted house. Instead, I like to get creative with spooky Halloween things that don’t make my heart jump! If you’re not into things that go bump in the night, you can still have some Halloween fun with your food! Taco night becomes a big thing in our house once the weather cools down. We like our food with some heat, so there’s usually a bottle or two of hot sauce on the table during dinner. Since tacos, burritos, and enchiladas are always a great way to spice things up, one night for dinner recently, I decided to turn what would have been a normal taco night into a fun, Halloween inspired “Boo-rito” Bake. 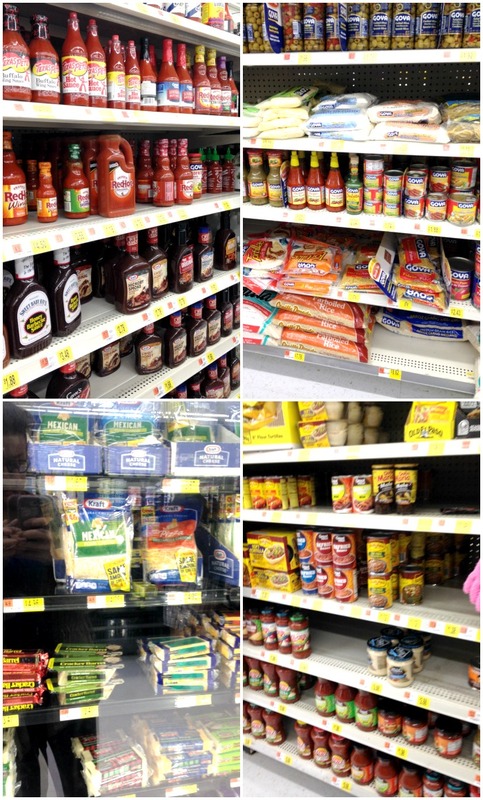 I took a look inside my fridge to see what I had on hand, then headed to Walmart for the rest. Most of my shopping list was conveniently conquered in the aisle where Goya products are sold. For the rest, I headed for the hot sauce (we can never have enough in this house! ), then to the refrigerated aisles for shredded cheese, and sour cream. 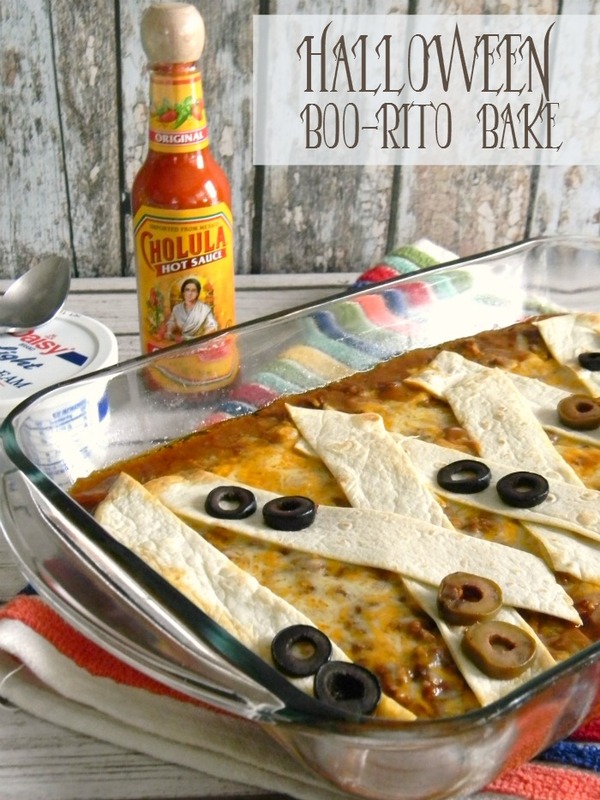 A spicy, spooky Halloween inspired "boo-rito" bake. - Black and green olives, cut into slices. In a skillet, brown the ground beef. Drain. Mix in refried beans, green chiles, and chipotle chiles. Stir to combine. Use a pizza cutter to cut strips out of flour tortillas. 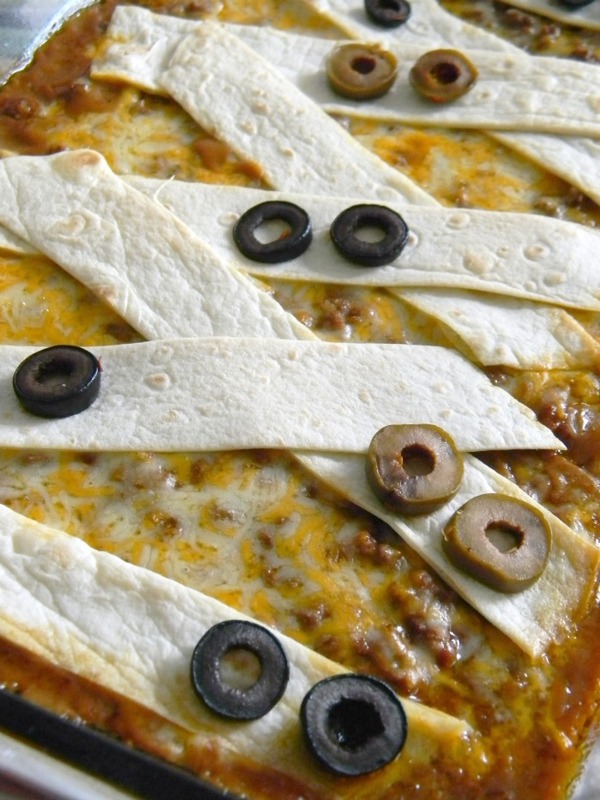 Lay tortilla strips criss-crossed over ground beef mixture and bake 20-30 minutes, or until cheese starts to bubble and tortilla strips become golden brown. 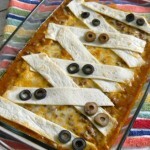 Add olive slices on top of tortilla strips to create "eyes." 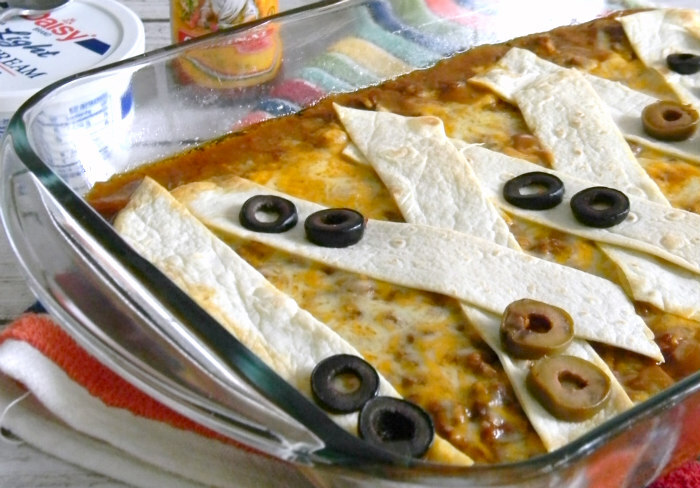 Serve this Boo-rito Bake with sour cream, hot sauce, and extra tortillas, if desired. 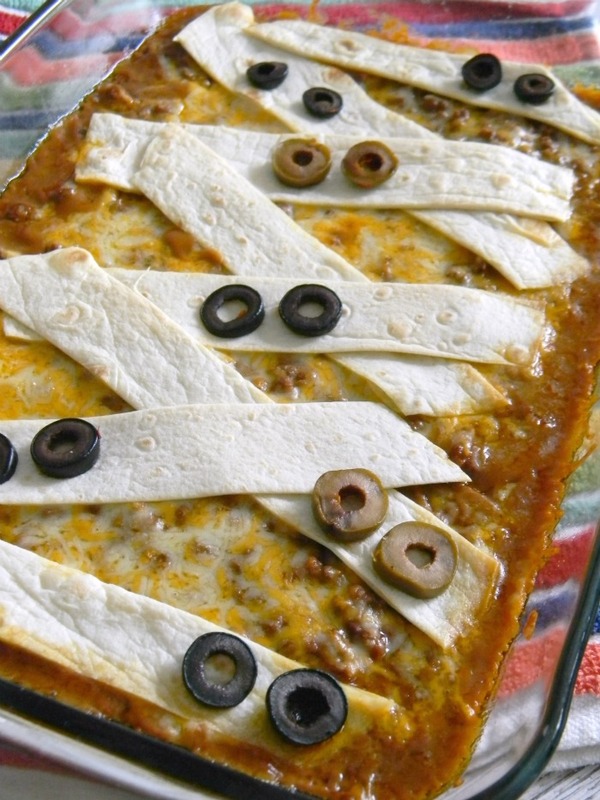 If you like a little heat, you’ll really love this “boo-rito” bake. The chipotle peppers are the spicy spotlight. Since you’re not using the entire can of chipotle chiles (and I certainly wouldn’t recommend it either! ), you can freeze the rest in a container and thaw, as needed. This bake was quick and easy for a weeknight meal. The end result makes an adorable dish to make for Halloween entertaining. It serves plenty of ghouls and goblins! Visit the Simple Entertaining Social Hub for more entertaining inspiration. What’s your favorite Halloween inspired recipe?